Hungarian-born Anita Krizsan might not look like it (pictured below) but she is the best-selling Bugatti Veyron salesperson in the world. In just one year, Krizsan successfully completed 11 sales totaling $15-Million. Her most recent was a Veyron Super Sport that carried a hefty $2.6-million sticker price, according to a Daily Mail story that published last week. Beyond an unofficial title, however, how does Bugatti thank the one salesperson that far and away outperformed all others? It would stand to reason that when you’re producing and selling $2-million cars, you’ve deep enough pockets capable of a pretty powerful ‘thank you.’ Instead, Bugatti thanked Krizsan for her sales dominance with nothing more than a Christmas card from the Bugatti CEO Wolfgang Schreiber stating that she was the company’s global sales benchmark, which is pretty pathetic if you ask us. Krizsan’s success got us thinking. 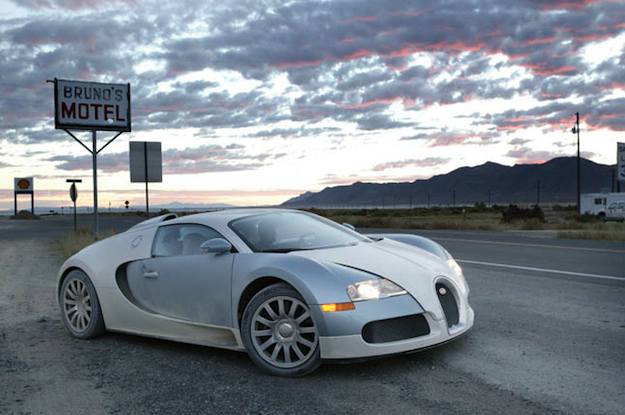 What does the top Bugatti saleswoman in the world drive herself? As it turns out, none other than a black diesel Volkswagen Golf, meaning one of two things. Either Bugatti is just as stingy with its commission as it is with its ‘thank yous’ or Krizsan is saving up quite a substantial nest egg. We hope it’s the latter of the two. Neither, however, would surprise us. Either way you break it down, Krizsans’ sales achievements are impressive. With the promise of another more extreme version of the Veyron, the Super Veyron, set to launch in the near future, we can only assume that Krizsan has a good chance to up her sales figures even further. Here’s to hoping next time she sells 11 Veyrons she gets more than a corporate Christmas card. Spend your weekend watching the Criterion Collection for free on Hulu.